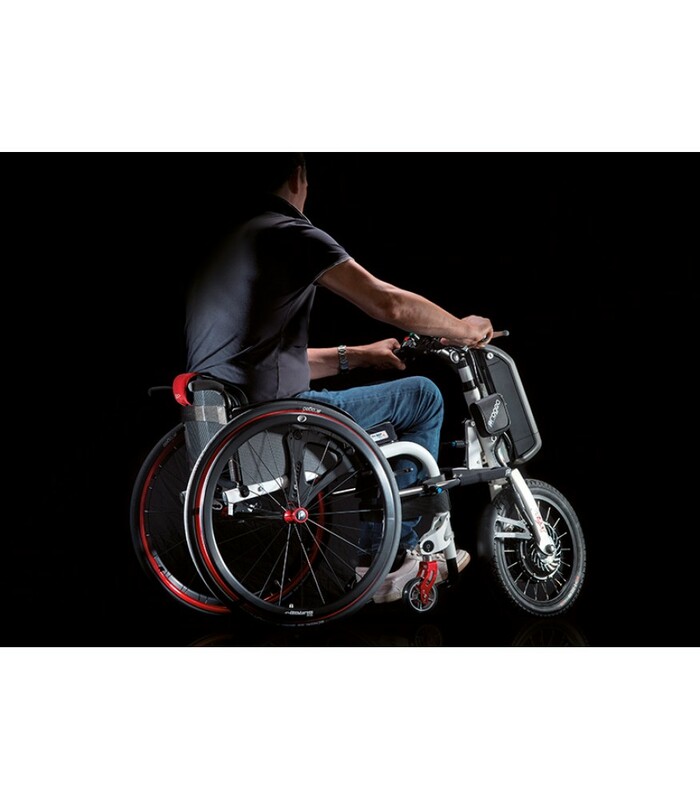 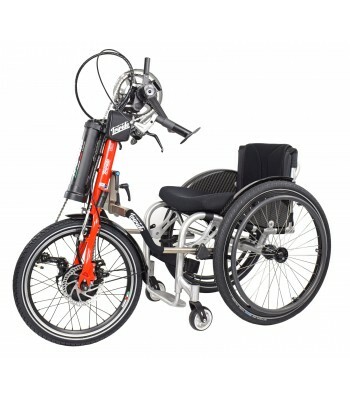 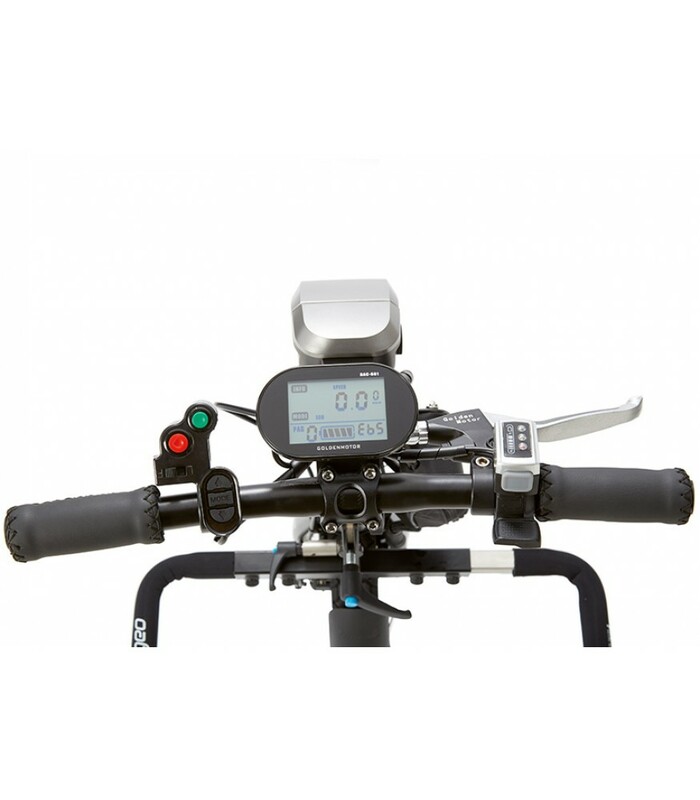 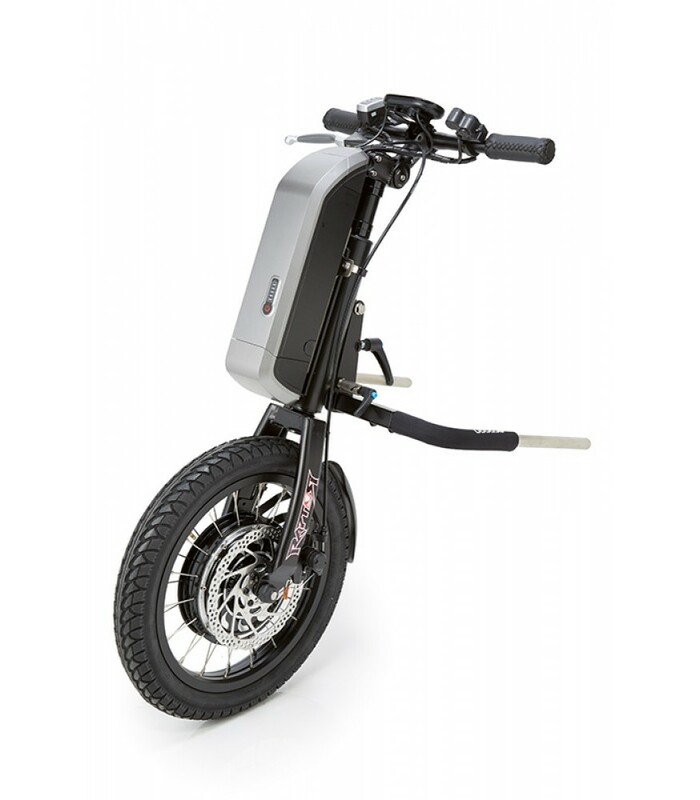 The Progeo Raptor, built in collaboration with Triride Italia has developed a power add-on that fits to most folding and rigid frames wheelchair. 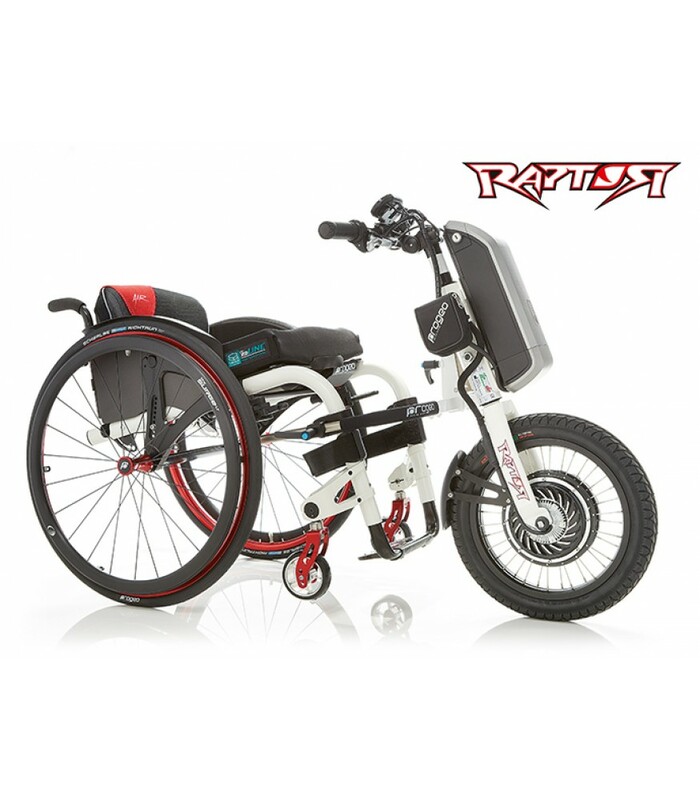 Distinguished by its frame and oval shaped fork which gives the Raptor unparalleled driving performance. 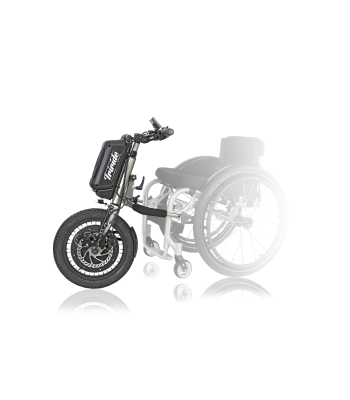 Complete with a high torque motor fitted to a 16" off road wheel, forward and reverse drive and cruise control makes the Progeo Raptor hard to beat. 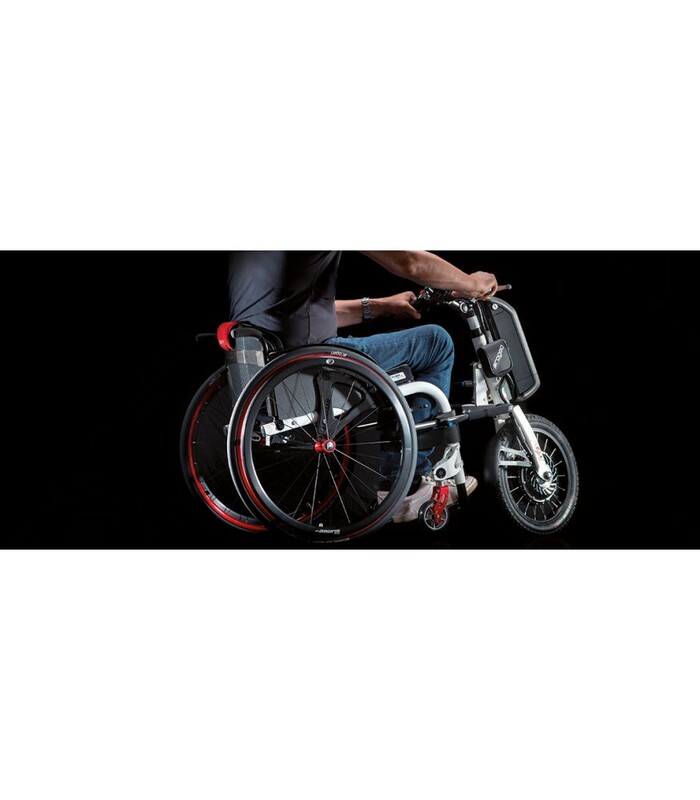 Fitting the Raptor is achieved with two small brackets secured to your wheelchair which adds only a few hundred grams so no need for heavy docking systems to remain attached to your wheelchair. 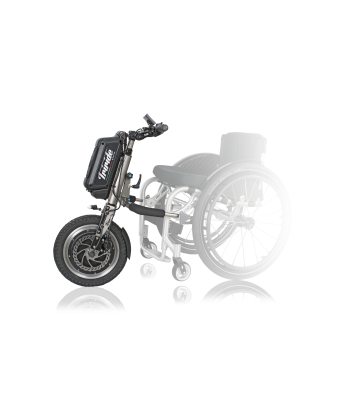 Fitting and removing the Raptor takes seconds and can be done easily.